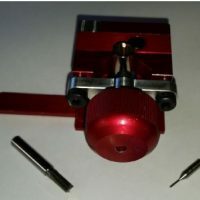 Laser Key Products manufactures key machines and other locksmith tools. We have been in business since 2007. We are proud to introduce our latest product, the 3D Pro Xtreme fully automatic high security key machine. Our first key machine was the Matrix Retro. 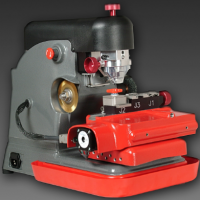 The Retro was developed by taking a Silca Matrix and installing axis motors and a controller to make it a semi-automatic key machine, users still needed to manually lower the cutter to the desired position. Laser Key Products then developed the 3D Pro, a newly designed key machine that was smaller and lighter than the Retro while being fully automatic. Three versions of the 3D Pro were produced, the Original, the X and the XL. The 3D Pro Xtreme builds on the successful 3D Pro platform by changing to a cast metal body instead of a plastic body, a wider base for better stability and a durable wheel cutter for standard security keys. A full time locksmith is on hand to provide assistance to the technical support team and assist in adding new keys to the key machine software. 3DPro Xtreme Key Machine Package.